Located in Bang Saray, Thailand - a picturesque beachfront village just 20 minutes from Pattaya, 90 minutes from Suvarnabhumi International Airport and a two hour drive from Bangkok - Cartoon Network Amazone is an immersive entertainment experience comprising 10 themed entertainment zones spanning a generous 35 rai (14 acres), each one offering an array of exhilarating water coasters and attractions. 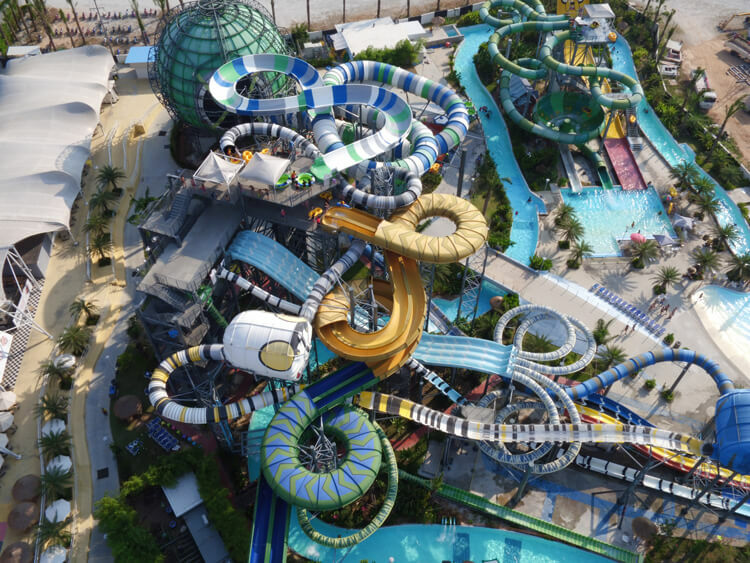 The waterpark also features captivating live and multimedia entertainment that incorporates the latest in interactive smart-screen technology - bringing fans of Cartoon Network closer to their favorite characters than ever before. Cartoon Network Amazone is a licensed agreement between Amazon Falls Co. Ltd., the development of the waterpark, and Turner International Asia Pacific, the owner and operator of Cartoon Network. What sets Cartoon Network Amazone apart from any waterpark in the world is that this is the new home away from home of Cartoon Network's beloved heroes such as Powerpuff Girls, Ben 10, Adventure Time and the only place where our fans can do meet and greets with their favorite characters every day while they enjoy live shows.